At the White House press briefing room, colleagues of ABC News reporter Ann Compton toasted her last day at the White House with champagne and rum cake after the daily press briefing on Tuesday afternoon. 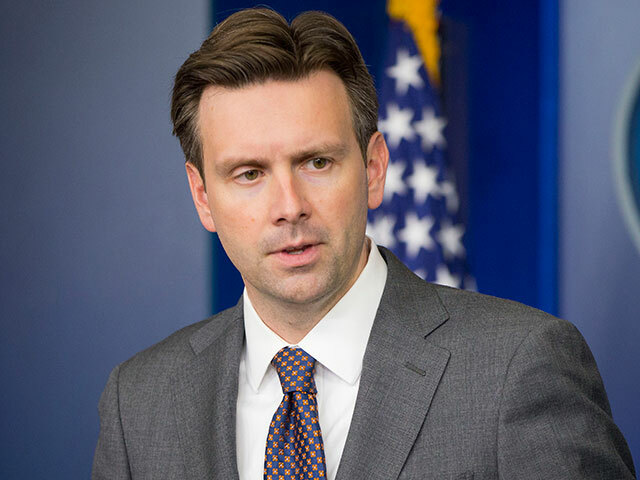 During the celebration, White House Press Secretary Josh Earnest made a surprise visit to offer his own toast to Compton and recognize her long career as a reporter at the White House. Earnest willingly went on the record to discuss Compton’s career, which has lasted over four decades. Earnest said that although he was “sad” to see Compton go, he wished her the best with her retirement. The Obama White House has been under fire for restricting access to press photographers, instead choosing to release photos and videos to the public from the official White House photographers. It’s not the first time that the White House recognized Compton’s retirement. President Obama publicly acknowledged Compton’s retirement during a trip to Estonia earlier this month.